Our water damage cleanup team is ready to respond when you need us most, day or night, rain or shine. 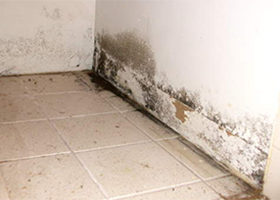 With water damage often comes mold growth, and our team is equipped to safely and effectively remove mold for a safer and healthier home. Our rug cleaning process makes sure that your rug is brought back to its original beauty, and its value is protected for years to come. We hope that you never have to experience a fire, but if you do we promise our team will be ready to respond when you need us most, 24/7. 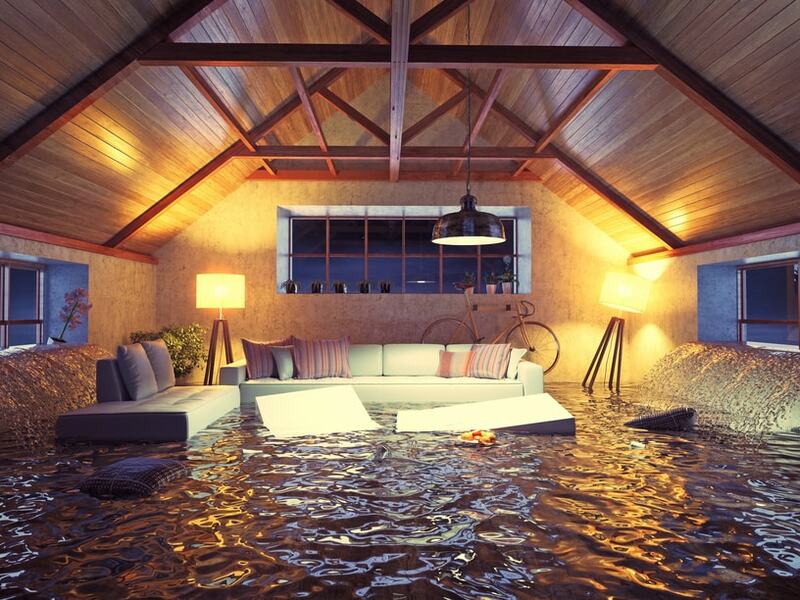 Our water damage cleanup team is ready to respond any day, any time - whenever you need us most. 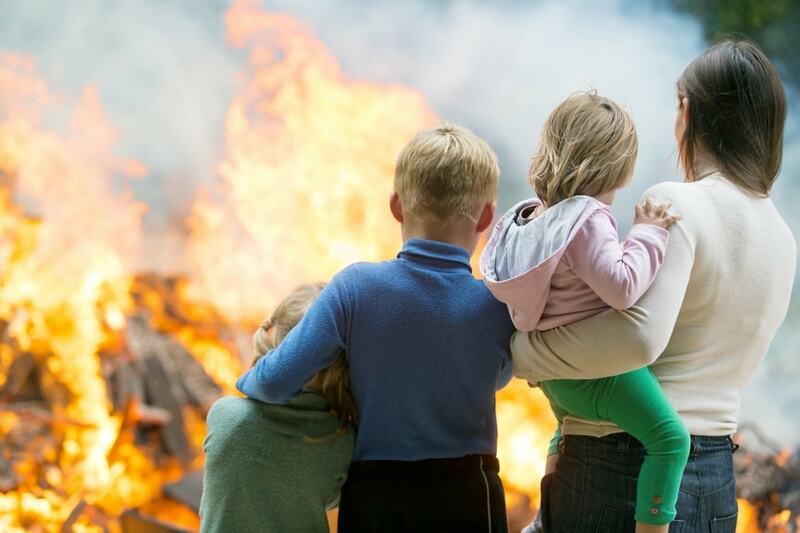 We hope that you never have to experience a fire, but if you do we promise our team will be ready to clean up and help put your home back together. We offer professional in-home service for carpet cleaning, upholstery cleaning, and drapery cleaning at your convenience. If you know mold is growing in your home call Sincerely Yours. Trust our certified technicians to keep your home healthy by removing any and all traces of mold and mildew. The professionals at Sincerely Yours have the knowledge and experience necessary to keep your furniture and upholstery feeling great, smelling fresh and looking brand new and clean. 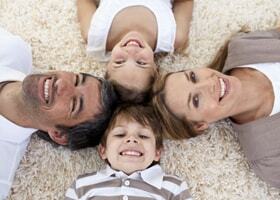 Our experts focus on providing the most thorough carpet cleaning possible. Sincerely Yours will breathe new life into your carpets by removing stubborn spots and stains. Sincerely Yours knows that your area and oriental rugs are unique and need special care and attention. 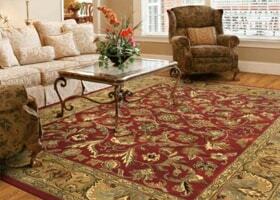 Trust our professionals to keep your rugs healthy, clean and looking brand new. 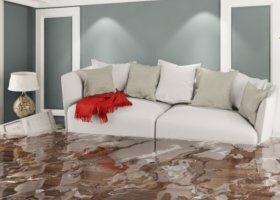 Has your home or business suffered water damage? Whether your damages were caused by flooding from a burst pipe, toilet overflow, sewer backup or heavy rain, Sincerely Yours can help. Those who have suffered through fire damage know that more than just their house has been damaged. At Sincerely Yours, we will help you through the trying times. Enhance the look of your custom window treatments with the convenience of in-home cleaning from Sincerely Yours. 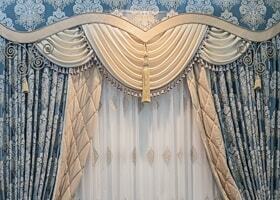 Whether drapes, valances, cornice boards, or swags – we can clean it. We can do more than simply tell you what great services and results Sincerely Yours provides, let us show you! Customer satisfaction is our top priority. Find out what our customers have to say about their experiences with Sincerely Yours. For your cleaning and restoration needs contact Sincerely Yours today! Our professionals are standing by to help! Thank you for the absolute BEST and quickest response one could ask for. Steven and the Guys are on it right now. I can’t describe the level of ease I feel knowing they are taking care of this special request. I truly am most thankful for everyone’s attention. Congratulations on having such a fantastic team. All of you are the best. Demarco and Steven are carpet wizards! They arrived on time and were so polite and interested in providing excellent customer service. They were obviously extremely knowledgable about the cleaning processes and really cared about making sure we were pleased with the service. I would highly recommend your company! It is the best carpet cleaning service I have ever used. My carpets look so amazing that I have sent all my rugs to be cleaned at the Sincerely Yours facility. Thanks for a job so well done. I purchased a rug on clearance and realized, after getting it home, that it had large buckling areas in the center of the rug. I had never seen a rug do that before and I was uncertain if it would come out. I tried everything I knew to get those buckled areas to lie flat and nothing worked. As a last resort, I took it toSincerely Yours to see if they could help. I really thought the rug was ruined. Sincerely Yours fixed it and the rug looks great! I’m so relieved and so grateful to Sincerely Yours for saving my rug. I’m uncertain what they did to fix the problem but I know the end result was great! Thank you Sincerely Yours for the great work!. Sincerely Yours did an absolutely outstanding job cleaning a semi-antique rug. It is now gorgeous and the colors are much more vivid than when we acquired the rug. The florals, animals, and genies stand out more and it is quite the conversation piece. Thank you, Sincerely Yours, for a great job. Can’t wait until the next rug is cleaned soon!. I want to thank you for your expert cleaning of my oriental area rugs. I was very pleased and surprised to see them look like new again. The men who brought them back put them exactly as I wanted them. They were courteous and professional. Sincerely Yours turned what initially seemed like a disaster into a mere inconvenience when my master bath flooded. I called at 7:30 am and a crew was at my house before 9:00 am. The crew who took care of my house was wonderful and I couldn’t be happier with the service. I hope nothing like this happens again, but I know who to call if it does. THANK YOU. Awesome job. I don’t have words to describe the extreme care that was given by the employees for restoring the property. As professional as it gets. Stan and Richard breathed new life into our 10-year-old white couch. I didn’t think it would be the same after several moves and two dogs but it looks great! You guys did a great job. I don’t give out 5 stars without outstanding service. The Sincerely Yours team came in quickly after I called about a water leak from my refrigerator water line. They saved my hardwood by pulling the water out of the floor with their equipment. In the end the price was a bargain and the long term cost saving is huge. If we ever need this emergency service again, I will call Sincerely Yours without hesitation. Finally! A carpet cleaning company that knows what they are doing and does a great job! The two men that came have over 50 years combined service for Sincerely Yours. They treated problem areas very well and took their time! I will definitely recommend Sincerely Yours!! Sincerely Yours acted as my savior last Friday. One of my bathroom pipes created Niagara Falls. While the plumber was surly and none too keen on showing up at my house at 2am, Sincerely Yours more than willingly got out of bed and came to my aid. 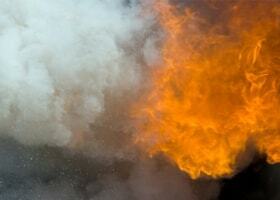 They set up stuff that night, taking thermal images and everything else my insurance company might need. They even moved some furniture for me, to better aid the machines in their anti-water magic. Due to the amount of water the pipe had left in my carpet, the machines had to be in place for days. Sincerely Yours was very good at calling and checking up on me. I had the same woman (Chris) check up on me, so there was no need to fill her in on the facts. She virtually held my hand from start to finish. Sincerely Yours just saved us thousands of dollars! We had received estimates in the thousands to put either new carpet or hardwood flooring down in our large master bedroom but instead decided to see if the 18 year old carpet could be cleaned. Carpet was very stained very dark from tracking in and out and definitely dirty … After much patience and continuous cleaning from your experienced guy, our carpets look absolutely new again!! Honest – shocked! Thank you for a job well done and special thanks for saving us a really big expense of either new carpet or hardwood floors. We are amazed at the excellent results and quite happy. Sincerely Yours did a fantastic job of cleaning our carpet. Our carpet is 25 years old and after the cleaning it looks almost new. Your technician, Stan, arrived on time, he was very professional and conscientious and did an amazing job. We so appreciated his hard work. Sincerely Yours is absolutely the best!!! After trying unsuccessfully to get red Gatorade out of my oriental rug, I called Sincerely Yours. It was one of the best decisions I have ever made. Sincerely Yours quickly answer my questions and picked my rug up that very day. They were in constant communication with me while working on my rug and even sent pictures of the work in progress. Best of all, they were able to get the stain out! I was thrilled with the work and customer service of Sincerely Yours. Thank you, Sincerely Yours, for a job well done! It is always a pleasure working with you and the terrific team you have over at Sincerely Yours. When I have y’all on a job I can rest easy knowing everything is being taken care of. You and your team have taught me a lot over the years about water losses and I will be forever grateful. I look forward to continuing our relationship. Tell the guys I said they are the BEST!!!!!!!! I had my carpets cleaned a few years ago by another company who failed to get out two major stains. Sincerely Yours got the stains out and the entire carpeted area looked amazing!! Moving to a new home after 25 years is a new and bit frightening experience. I have many oriental rugs, large and small, that are a collection of our travels and memories over these many years. We are also a family of pet lovers and have had more furry friends over the years than most people could imagine and our carpets were truly a “challenge”. However, I decided to take the plunge and get all of my rugs removed from the house and cleaned professionally for the big move. I called at least three other cleaning companies who took days to return phone calls, figure out the price and how long it would take with no guarantees on the quality of the work. My last call was to Sincerely Yours. That was because they immediately answered my questions with pleasure and commitment and guaranteed prices. I needed to look no further. Their professional staff made me feel like they really CARED about my oriental rugs, their website was amazing and explained the process that would be used in cleaning my treasured pieces. They not only beautifully restored my rugs to perfection with their cleaning process, they finished and delivered them even before the time they had originally given me. The gentlemen that picked up and returned my rugs helped me carefully figure out where in our new home they would go. The office staff called to be sure that we were totally pleased with the quality of their cleaning and everything was done to perfection. I have no need to call anyone in the future except for Sincerely Yours for the cleaning and care of my lifetime treasures. They proved themselves to us in every way. I was pleased beyond belief and their prices were very reasonable. They are the BEST!! I want to tell you how impressed we have been with Sincerely Yours. You have a quality staff, efficient and courteous, and they did a quality job for us. We’ll certainly call you next time our rug and carpets need cleaning. No more emergencies, I hope. Thank you for sending this along. I really appreciate it. Your technicians were absolutely wonderful! They are professional and polite and had incredible follow through. Thank you so much for your help. Once again you cleaned our carpets professionally. Your employees are so friendly and so competent. I look forward to the annual cleanings. Please give my appreciation to the gentleman who did the work on Jan 6. Very satisfied with their work today the technicians Tory and Stephen were very professional great customer service arrived in a timely manner I called the day before they were able to come out the very next day would definitely recommend this company not to mention my carpet looks absolutely great!!!!! Thanks so much! Stephen and Toni did an amazing job! They are hard workers and exceeded all my expectations. Will definitely recommend them to all my friends. Our home sustained significant damage from an overflowing upstairs toilet. Your crew came out and immediately assessed the situation, boxed up items where needed, and generally worked most efficiently. The crew was composed of: Allen Sloan, Stan Derrick, Eddie Jones, and Dirumetrius Shannon. Each man was courteous, well mannered, cleaned up after themselves and very considerate that my husband was in bed in the room they needed to enter and work in. He had fallen, in addition to being down with the flu, and he hardly knew they were there. It must have taken extra time and work to move and work so quietly, but their efforts were sincerely appreciated. I would highly recommend your services to anyone in such need. Sincerely Yours did an excellent job cleaning several pieces of furniture and a rug. The guys really took their time, worked hard, and did a very thorough job. On top of that they were very courteous and genuinely nice guys. Would definitely recommend. Thank you again for such great service and Drumetrius and Tory were wonderful. They gave me such comfort knowing our building was not going to turn into a mildew and mold pit. At midnight Friday they were consoling and I definitely felt confident that the situation was in professional hands. By being in a service industry, I definitely can appreciate these fine men being professional and at the same time assuring me with kindness and caring that our building was going to be taken care of to mitigate the damage. Great job and thank you again! My son just purchased a condo and the carpet was so filthy so we knew they must be cleaned prior to painting and moving in. Sincerely Yours was the 1st to come to mind! Steven and Tory arrived on time, were very friendly and pleasure to deal with. Thank you again, Steven and Tory! by Frank and Jackie J. We knew everything was going to be fine when Steven, Tory, Austin and Drumetrius came in. They were both professional and personable from the start. If these guys are a representation of all of your team members, we are very impressed! It is such a pleasure to do business with people of this quality. I just wanted to say thank you to how quickly Renee acted yesterday to get someone out to help my step mom with her devastation from Irma! You guys rock! Two representatives from Sincerely Yours provided superior service in cleaning carpets and upholstery in our home. Steven and Tory were polite, professional and friendly. Not only did they arrive early but also stayed late. Going above & beyond on providing exceptional service. Sincerely Yours is indeed fortunate to have these service men as employees. I was exceptionally pleased with the service that I received from Sincerely Yours! I will certainly recommend this company to all my friends and family! Thank you for your wonderful service! These guys came in during an after hours emergency and fixed me up. They showed up quickly and were very professional. I highly recommend them if you have some water damage. A huge oak tree was blown over onto my house. It destroyed my entire living room and part of the dining room and foyer. Sincerely Yours staff showed compassion and courtesy to me during that very difficult and traumatic time. They enabled me to have confidence that my belongings were being handled with care. The guys were jovial and just nice to have around and made me feel comfortable having them around. All work was done timely and professionally. If you grew up in Columbia, you know the name Sincerely Yours. Founded by Jack Little in 1959, Sincerely Yours has remained a Columbia tradition to this day. We offer the same exceptional service in carpet, upholstery and drapery cleaning and expert oriental rug cleaning, as well as 24-hour emergency water damage restoration services. No matter what size the job, Sincerely Yours guarantees quality service, quick turnaround and a friendly smile. Call today to schedule your service.